This is Central Asia’s most populous country, a one party “democracy” for the last 26 years and one of the only two double landlocked countries in the world. It is an arid place with a state emblem that includes a cotton plant and two rivers surrounded by fertile looking land. It is an ex soviet country closely tied to Russia with a national hero that is considered a monster by its neighbours. It is an Islamic nation that uses anti-terrorism as an excuse to silence dissent. It is the home of a disappearing lake called “sea”. This is a journey to that missing sea: It is about water, power and deceptive appearances. Politics are an unlikely topic of conversation here and, if it happens, it will probably be with someone praising the government and making comparisons with the neighbouring countries. This is a land of manicured lawns and dry fountains. Water is precious in an arid landscape, but the land is unexpectedly green in Uzbekistan. Grass is manicured in the main cities, literally: men and women are cutting it leaf by leaf under the sun in front of pompous fountains or next to the Silk Road tourist attractions. In the countryside, canals subtracting water to the nation two main rivers created a landscape of roadside cotton fields surrounded by deserts, but fountains are dry here just as they are round the corner in the main cities. The water always lacks where it should be. It was in the sixties that the Russian Government decided to transform Uzbekistan in a cotton heaven. Canals were built using the water from the Syr Darya and Amu Darya, the two main rivers of the country, and the land became green. Cotton exports became so important that the plant made it on the state emblem. On the other hand the Aral Sea, once the fourth biggest lake in the world, is rapidly making it out of the map and with it the economy of the provincial capital Nukus, surprisingly a surreal pristine city of empty squares and buildings that cannot be photographed. 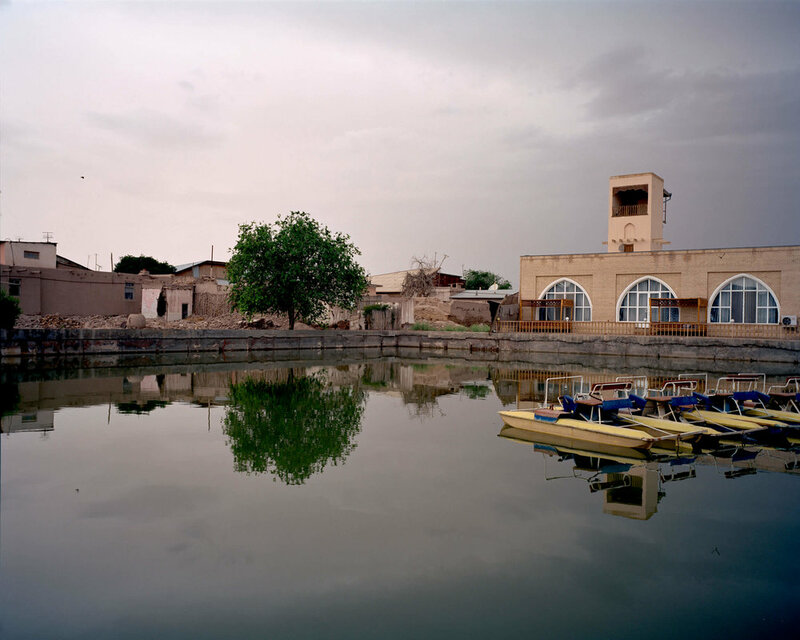 On the other hand the town of Moynak in the Karakalpakstan autonomous region is now the symbol of one of the biggest (and more overlooked) man-made environmental disasters on earth: the disappearance of the Aral Sea. Once a harbour town it now lies more than 200 km from the receding water. What is left of the sea is toxic to animal life and the decrease in the amount of water affected the region climate giving way to temperatures similar to Siberia in the winter and scorching heat in the summers.